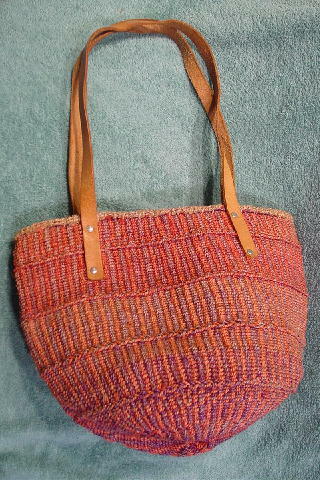 This foreign-made heavy twine woven tote is in light and medium cherry-peach, light and dark grape, wheat, and pale golden cocoa. 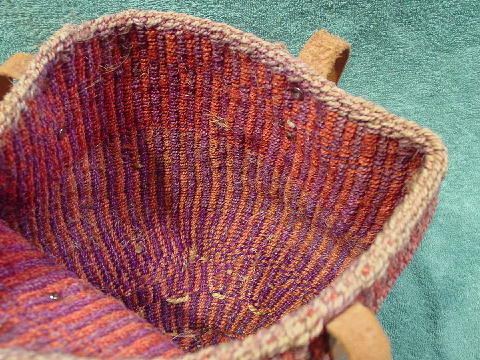 It's unlined, and the interior twine is in grape and light and dark cherry. 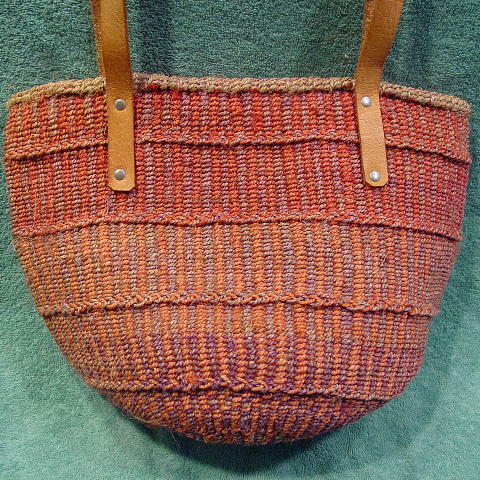 There are two light tan leather 31" by 3/4" shoulder straps attached by silver-tone brads.